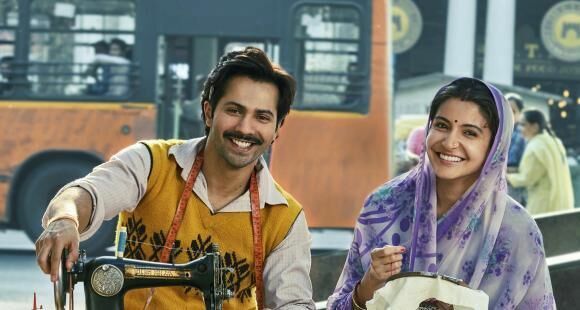 Varun Dhawan plays a local tailor named Mauji and Anushka Sharma an embroiderer, Mamta, from heartland India in YRF’s upcoming entertainer Sui Dhaaga – Made in India. To perfectly portray their roles on screen, Anushka and Varun ensured that they prepared well and got into the skin of their characters. They needed to learn new skills including Handloom, Block Printing, Weaving with the help of charkha, stitching, sewing on machines, embroidering and dyeing of clothes to ace their roles! Director Sharat Katariya wanted to capture the genuine small town essence in his film and went all out to make it as authentic as possible and in fact had the stars shoot at midnight to capture the essence of the life of these two characters. Varun and Anushka have been paired for the first time together and they have definitely become the most awaited on-screen pair of 2018. Yash Raj Film’s entertainer Sui Dhaaga – Made in Indiabrings together National Award winning producer-director combo of Maneesh Sharma and Sharat Katariya after their blockbuster Dum Laga Ke Haisha. The film is a salute to the inherent entrepreneurial spirit that the youth of India and our local artisans have. Sui Dhaaga – Made in India is set to release on September 28 this year.